Drinks industry body claims high excise duty on alcohol making tourism less competitive. More than 1,000 pubs in Ireland have gone bust during the recession, the umbrella group for the drinks industry claimed today. The Drinks Industry Group of Ireland (Digi), which represents 92,000 employees in pubs, restaurants, hotels and off-licences, said the relatively high excise duty on alcohol was costing jobs and making the country’s tourism offering less competitive. The excise duty on a pint of beer or a standard measure of spirits was increased by 10 cent in the last budget, while the duty on a bottle of wine was lifted by 50 cent. Addressing the Joint Oireachtas Committee on Finance today, members of Digi called for the reversal of these measures in an attempt to halt the industry’s flagging fortunes. 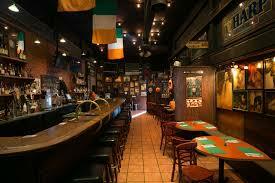 “Since 2007 over 1,000 pubs throughout Ireland have been forced to close. The small pubs in rural communities cannot soak up excise increases across a wide product mix, like a supermarket can – they are forced to pass the increase on to consumers who often assume the publican is price gauging.” said Padraig Cribben, chief executive of Vintners Federation Ireland, which is a member of the Digi. He claimed that 80 per cent of the increase in the cost of a pint in the pub since 2011 has been directly caused by taxation.